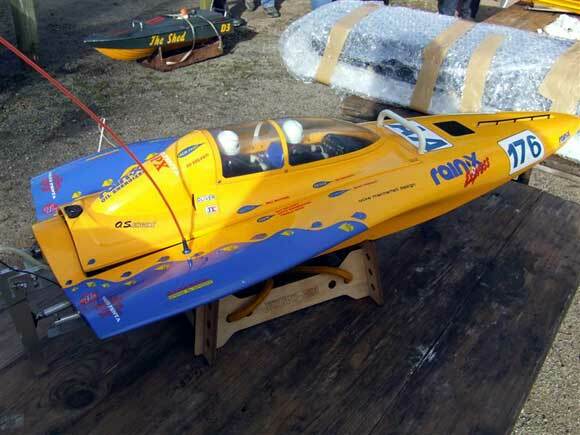 The Offshore Model Racing Association races model offshore powerboats which conform to 8 different class types. All classes run internal combustion engines only. The basic class definitions are as follows but full class specs are to be found in the OMRA Rulebook. Standard Z: 0 – 2.10cc (0.129 cu in) non-spark ignition glow engine, submerged drive only and no gearbox.Modified Z: 0 – 2.10cc (0.129 cu in) non-spark ignition glow engine. Drive systems can be direct, geared, submerged or surface. Not much bigger in size than a Z Class boat, these are a little faster, having a bigger engine. The smaller hull size is better suited to flatter water but can be used on the sea too. 0 – 7.50cc (0.21 cu in) incl(0.21-0.46 cu in) sport section. A step up from the N21 Class with glow/nitro engines from 3.51 to 7.5cc. These are fast boats with some modern hull designs being used to great effect. Spectacular racing on either fresh or salt water. 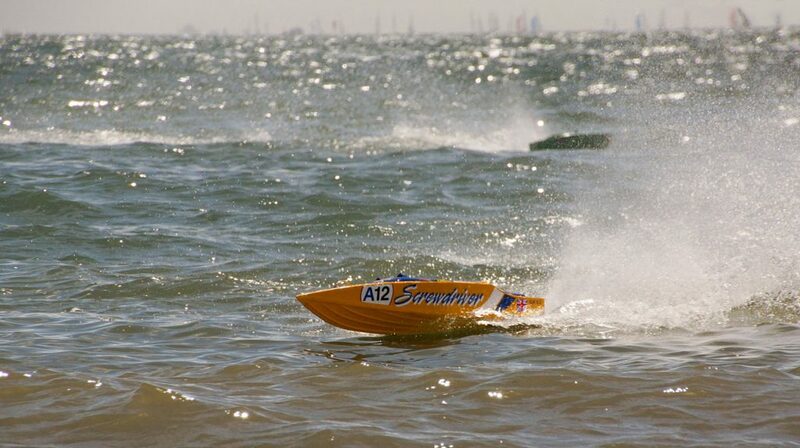 N67 Class boats are proper little powerboats and can take nitro engines up to 11cc. They are not much smaller than some of the spark ignition boats and are proportionately fast. Once the fastest class in OMRA this has now been superseded by some of the big petrols, C Class boats are big, powerful and very, very fast! At home in rough conditions, these powerboats use big glow engines to great effect and they really are small versions of the real thing. Catamarans up to 65″ and 30cc engines (glow or spark ignition) are permitted in this rapidly growing class. Racing cats presents a new level of challenge in both setup and driving. Not for the faint of heart! A petrol class aimed at those wanting to run a standard engine* or perhaps who are new to the sport. RTR Boats of the requisite sized engine are also eligible to enter this class too, providing there is a fail safe and silencer fitted. Often supplied with a radio set, this really is cheap racing for all! 0 – 26cc (1.586cu in) Standard petrol engine Spark ignition only. *Refer to the RULES section for full class specs. E Class is OMRA’s Evolution class and features some real monsters. Now easily as fast as the C Class nitro boats, E Class boats are all petrol powered and so are [relatively] cheap to run and build. The sound of these big engines coupled with big hulls makes for spectacular racing, especially in the rough stuff!